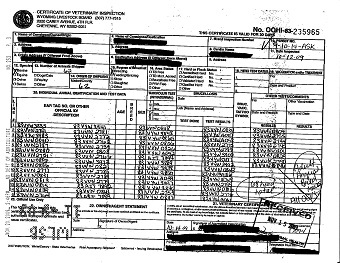 Paper Health Certificates are expensive, hard to read and almost impossible to track. Why not convert these paper certificates to an archival quality Tiff 6 or PDF image? Hard to find the right certificate. Hard to find specific animal ID numbers. Paper gets lost or misplaced. Expensive to print, ship and track. 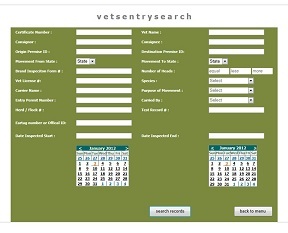 Let Vet Sentry image your certificates and place them on our easy-to-use search and retrieval webview system. Don't Delay, act today and move forward to fully Searchable Health Certificates. Now is the time to move to Vet Sentry paper to electronic health certificates! It's easy, inexpensive and will save you countless budget dollars.